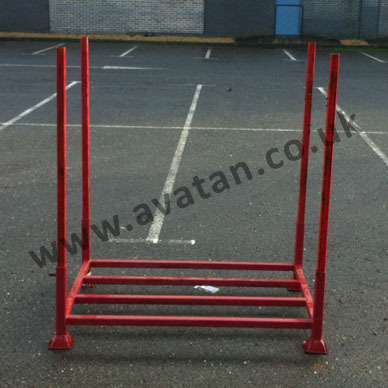 Size: 1400mm x 900mm x 380mm stub post height, 1550mm overall height. 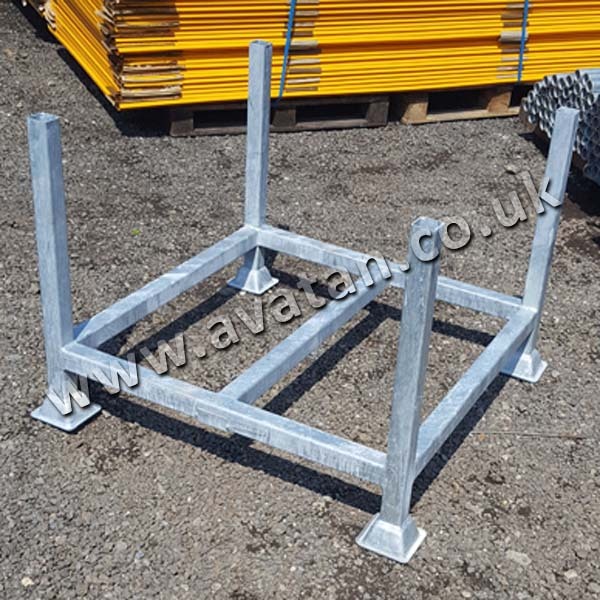 Demountable Postracks with open braced base frame, fixed stub posts and supplied with removable posts as required. 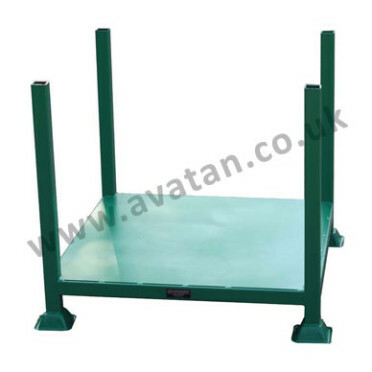 Standard Postracks may be used as an alternative to conventional pallet racking and are suitable for 1200mm x 1000mm x 1350mm high palletised load, stackable three units high with 750kg u.d.l. 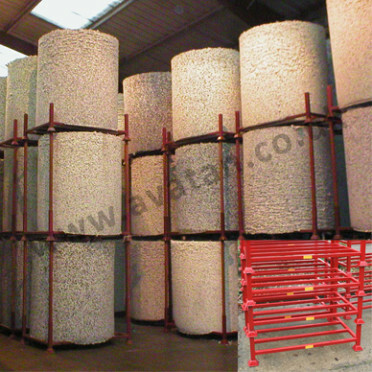 per pallet. 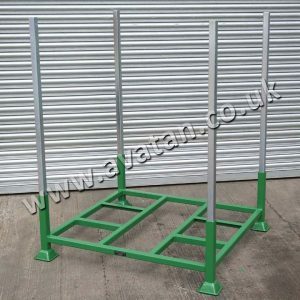 These simple steel post pallets are adaptable to many uses and may be supplied with steel or timber deck. 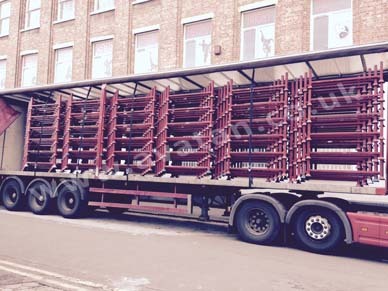 Economical to transport, fitting up to 360 Postrack bases on a 45′ trailer. Available for sale and for hire. 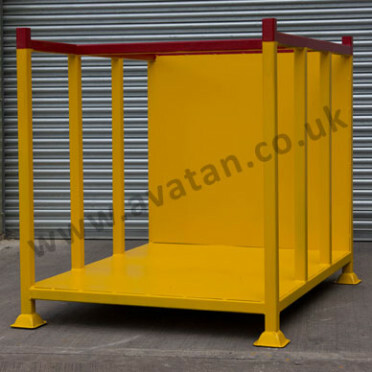 Postracks may be manufactured to order to suit your own needs varying the base dimensions and height and adapting the base construction to suit different product ranges and styles of packaging.